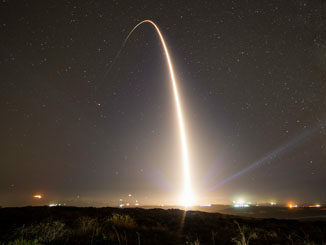 The rocket lifted off with Iran’s Payam-e Amirkabir imaging satellite before dawn Tuesday at the Imam Khomeini Spaceport, located in Semnan province in the north-central part of the country, according to video of the launch broadcast by Iran’s government-run Press TV television channel. But Iran’s information and communications minister, Mohammad Javad Azari Jahromi, announced on social media that the rocket failed to reach the speed needed to enter orbit around the Earth due to a failure in the launcher’s third stage. It was the first time Iran has admitted failure in an orbital launch attempt, despite suggestions from U.S. government officials and Western experts that past missions carrying satellites fell short of orbit. Jahromi tweeted to confirm the launch failure at 0340 GMT Tuesday (10:40 p.m. EST Monday). It is believed the 89-foot-tall (27-meter) liquid-fueled Simorgh rocket took off from its launch pad at the Imam Khomeini Spaceport around 0030 GMT Tuesday (7:30 p.m. EST Monday). The three-stage Simorgh rocket aimed to place the roughly 220-pound (100-kilogram) Payam-e Amirkabir satellite into an orbit around 300 miles (500 kilometers) above Earth at an inclination of 55 degrees to the equator, according to Iranian state media. The satellite was built at Tehran’s Amirkabir University of Technology, and Payam means “message” in Farsi. It was designed to take color and black-and-white photos of Earth, according to the Islamic Republic News Agency, the country’s state-run media agency. 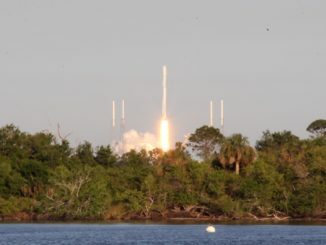 Jonathan McDowell, an astronomer at the Harvard-Smithsonian Center for Astrophysics who tracks global space launches, said the Simorgh rocket likely reached a maximum altitude of around 300 miles (500 kilometers) and fall back into the atmosphere over the Indian Ocean. “The launch yet again shows that Iran is pursuing enhanced missile capabilities that threaten Europe and the Middle East,” Pompeo tweeted. U.S. intelligence officials and independent observers of Iranian arms developments suggest the country is still years away from fielding an intercontinental ballistic missile, or ICBM. Tuesday’s launch was the third flight of a Simorgh rocket since 2016, when Iran debuted the new launcher on a suborbital flight. Another suborbital Simorgh launch followed in 2017, and U.S. intelligence officials said the rocket succumbed to a mishap during its second stage burn, a failure not acknowledged by the Iranian government. The Iranian government suggested earlier this month that they planned two space launches in the coming weeks. 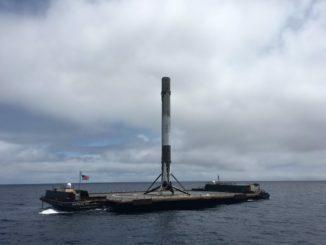 Preparations appear to be underway for another launch from a separate, smaller launch pad at the spaceport in Semnan province, according to Jeffrey Lewis, an arms control expert at the Middlebury Institute of International Studies at Monterey. Thanks to a steady stream of high-resolution images from the SkySat Earth observation satellites owned by Planet, a San Francisco-based company, Lewis and other observers have tracked launch preparations at the Iranian spaceport. With a new image every day, Lewis was able to see vehicle movements and arriving shipping containers as ground crews assembled Simorgh rocket components on the launch mount. “It was pretty clear to me that a launch was coming,” Lewis said. The daily observations with Planet’s SkySats offered a rare insight into how Iran prepares for a launch. Similar preparations have been observed at a neighboring launch pad used by Iran’s smaller Safir satellite booster, which has a better record than the Simorgh. Four successful Safir launches have placed Iranian satellites in orbit since 2009, when Iran inaugurated its independent orbital launch capability. An Iranian satellite named Dousti, which means “friendship” in Persian, is the likely passenger on the next launch.